What a Rare Disease is? According to the European Commission, any disease affecting fewer than 5 people in 10,000 in the EU is considered rare. Although this might appear small, it translates into approximately 246,000 people. Most patients suffer from even rarer diseases affecting 1 person in 100,000 or more. Approximately 5,000-8,000 distinct rare diseases affect 6-8% of the EU population i.e. between 27 and 36 million people. In the USA, a disease is defined as rare when it affects fewer than 200,000 Americans at any given time. Click here to check more information about Rare Diseases at Eurordis, Rare Diseases Europe. Why is CML a rare disease? Chronic Myeloid Leukemia is characterised by leukocytosis with myeloid progenitors in the peripheral blood termed ‘left shift’. 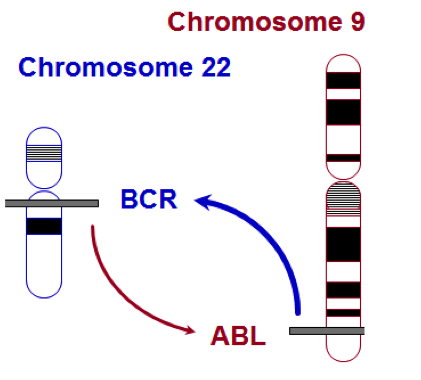 The disease is driven by the Philadelphia chromosome t(9;22), which produces the constitutive active fusion protein BCR-ABL1. CML is classified into chronic phase, accelerated phase and blast phase, according to the blast cell count. Therapy monitoring is performed using highly sensitive real-time PCR to detect BCR-ABL1. In Europe, the raw and age-standardised incidence of chronic myeloid leukaemia (CML) is around 1/100.000 persons/year, and this number is stable. The incidence of CML increases with age: Due to treatment-based survival improvement and the increasing life expectancy in the general population, the prevalence of CML will almost double in the next 30 years. According to Orphanet, the portal for rare diseases and orphan drugs, the CML epidemiology signifies an annual incidence estimated at between 1 and 1.5 cases per 100,000 and its prevalence at around 1 in 17,000. CML accounts of about 20% of all leukaemias affecting adults. It typically affects middle-aged individuals and it is considered an ultra-rare condition in children: CML constitutes around 3% of leukaemia in the children and adolescent age group, with an annual incidence of one in 1,000,000. It constitutes around 10% of the CML cases. Therefore, CML treatment in children is not worldwide standardized and it often needs to be followed through the guidelines developed for adults, even though there are differences between the CML disease presentation and progression. Necessarily, children with CML should be treated by doctors who specialize in treating children with blood cancers. Rare Disease Day is celebrated on the last day of February each year. The main goal of this global action is to raise awareness amongst the general public and decision-makers about rare diseases and their impact on patients' lives. This year’s theme is ‘Bridging health and social care’. 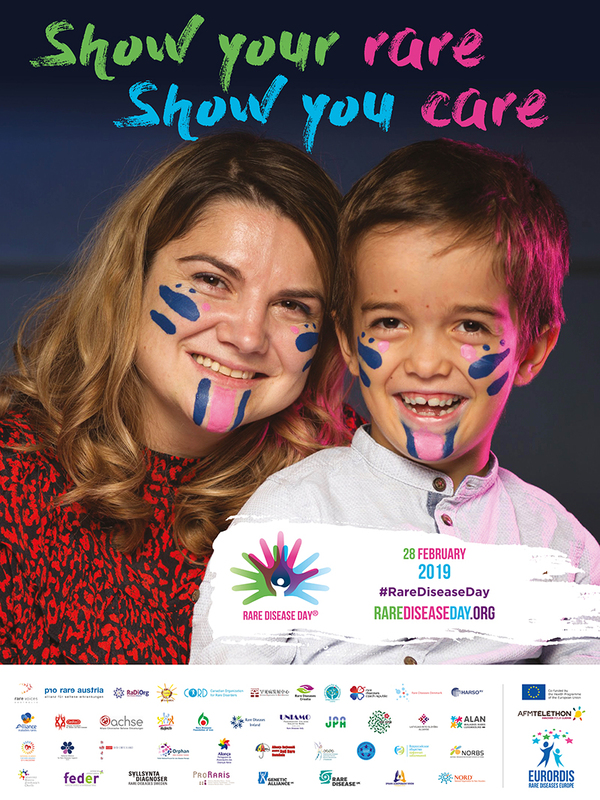 With this topic, Rare Disease Day 2019 inspires individuals, patient organisations, media and the whole society to be part of a global call on policymakers, healthcare professionals, and care services to support people living with a rare disease.